Home > Roofing DIY > Is it Time For a New Roof? The roof of your house or building can undergo serious damage, weathering, disintegration, or malfunctioning at any point throughout its lifetime. These things may be prevented or even taken care of with roof repair and similar projects. Sometimes, however, repair will not be enough and you will need a new roof entirely. Here we will outline exactly in what conditions you should choose between roof repair and installing a new roof. Failure - the first signs of roof failure appear in the buildings interior - flaking paint, ceiling stains, discoloration, and peeling wall-paper are all clear signs. Causes like small holes can be patched up, while cracks in shingles cannot be. Whatever the cause, never wait� hire a professional to determine how much the repair and treatment costs will be, and how long your roof will live once complete. If it does not exceed the cost of a new roof, and will survive at least its original life cycle, then repair. If not, install a new roof. Materials - every kind of roofing material requires different levels of maintenance and care. While some, such as shingles, require annual and semi-annual inspections and treatment, others, such as PVC roofing, require next to no maintenance at all. Knowing about the material covering your roof will help you in deciding whether or not it is worth repairing or replacing it, and give you an idea of your expected new roof cost versus repair, and new roof costs versus maintenance of existing. Age - most of your decision is based on the age of your existing roof, which should be checked twice a year in all cases. If a shingled roof is 20+, install a new roof. If under 15 yrs, try to replace it. Thee main idea here is that you invest in your roof. Don't repair it if the life cycle is ending, or of it exceeds the new roof cost. 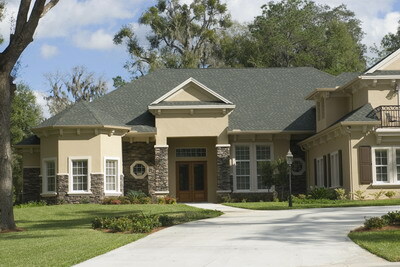 Install a new roof when repairs are insufficient, and when it is financially more worthwhile.